Get ready for some unexpected beachfront property, inland-dwelling friends. 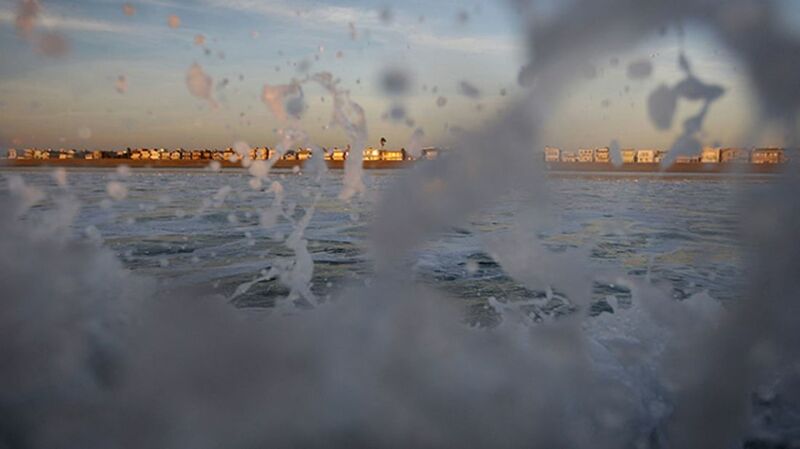 A new study finds that sea level rise is going to be increasing exponentially, Bloomberg reports. A new paper in Scientific Reports analyzes sea levels measured by satellite and new climate models, arguing that the 1991 volcanic eruption of Mount Pinatubo in the Philippines—the second-largest eruption of the 20th century—cooled the globe and affected rainfall that would have otherwise contributed to sea level rise. In turn, this anomalous eruption obscured how much sea levels were really rising over the decades, since satellites first started observing sea level changes in 1993. Essentially, scientists first began recording high-quality sea level data by satellite during an incredibly weird time. Comparing data from the early '90s to now can’t predict the full effects of climate change, the study’s authors find, because the volcanic event skewed the pattern. If these models are correct, scientists should start to see sea level rise accelerating exponentially in the next few years, barring any sort of crazy event like a gigantic ash-spewing volcanic eruption. Enjoy whatever your current waterfront hangout is before the tide comes for us all.